Interested in what is happening on the stock market today? Check our real-time charts of the most popular stocks, indices, currencies, and commodities. Real-Time streaming Dow Jones chart of DOW Index with adjustable line type, time frame/period, and optional technical indicators is available here. Real-Time streaming chart of Standard Poors 500 Index with adjustable line type, time frame/period, and optional technical indicators is available here. Real-Time streaming NASDAQ chart of NDQ 100 Index with adjustable line type, time frame/period, and optional technical indicators is available here. Real-Time streaming chart of Nasdaq Composite Index with adjustable line type, time frame/period, and optional technical indicators is available here. Real-Time streaming chart of Euro Stoxx 50 Index with adjustable line type, time frame/period, and optional technical indicators is available here. Real-Time streaming chart of English FTSE 100 Index with adjustable line type, time frame/period, and optional technical indicators is available here. Live Real-Time streaming chart of DAX Index 30 with adjustable line type, time frame/period, and optional technical indicators is available here. Live Real-Time streaming chart of CAC 40 Index with adjustable line type, time frame/period, and optional technical indicators is available here. Live Real-Time streaming chart of Nikkei 225 Index with adjustable line type, time frame/period, and optional technical indicators is available here. Real-Time streaming chart of Chinese Hang Seng Index with adjustable line type, time frame/period, and optional technical indicators is available here. Live Real-Time streaming chart of Korean KOSPI Index with adjustable line type, time frame/period, and optional technical indicators is available here. Live Real-Time chart of Euro Currency Exchange Rate with adjustable line type, time frame/period, and optional technical indicators is available here. Live Real-Time streaming chart of British Currency with adjustable line type, time frame/period, and optional technical indicators is available here. 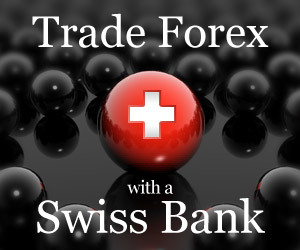 Live Real-Time streaming chart of Swiss Currency with adjustable line type, time frame/period, and optional technical indicators is available here. Live Real-Time streaming chart of Australian Currency with adjustable line type, time frame/period, and optional technical indicators is available here. Live Real-Time streaming chart of New Zealand Currency with adjustable line type, time frame/period, and optional technical indicators is available here. Free Real-Time streaming chart of Gold spot price with adjustable line type, time frame/period, and optional technical indicators is available here. Free Real-Time streaming chart of Silver spot price with adjustable line type, time frame/period, and optional technical indicators is available here. Live Real-Time streaming chart of Crude Oil Market with adjustable line type, time frame/period, and optional technical indicators is available here. Live Real-Time streaming chart of Brent Crude Oil with adjustable line type, time frame/period, and optional technical indicators is available here. Real-Time streaming chart of International stocks with adjustable line type, time frame/period, and optional technical indicators is available here. Overview of current stock quotes and charts for major asset classes is available here, in different time-frames: short-term, mid-term and long-term. Overview of historical stock prices and charts for major asset classes is available here, in different time-frames: short-term, mid-term and long-term. Long, mid and short-term live real-time streaming free Forex charts for major currency pairs: EUR/USD, GBP/USD, USD/CHF, USD/CAD, AUD/USD, and NZD/USD. Real time stock quotes are something every active trader simply has to have in order to bring smart investing decisions. Success of long-term investors on the other hand is not so related to real-time data; they should be totally fine with delayed or even end of day stock quotes, but even they need to have real-time stock quote information when entering the order in the trading system. The need for live quotes makes sense, particularly in the world of finance, where time is money. Information is more valuable, the more up-to-date it is. Online access to real-time stock quotes and knowing what is happening on the stock market today is therefore one of the most important things for your trading success. Historically, real-time stock data was not freely and widely accessible. Some websites did offer one real-time quote at a time, but typically only after you have enrolled in a service and/or signed a complicated legal agreement. Access to real-time financial information has traditionally been limited to investors with brokerage accounts and other users via subscription fees. You should be aware of the difference between streaming data and real-time stock quotes which you will find on the websites today. While streaming data is updated and pushed to the website frequently (the website is blinking as you would expect), the quality of the data is usually delayed for 15 minutes or even more, depending on the stock exchange regulation which is providing the data to the specific website. On the other hand, real-time quotes are often limited to closed group of users of specific website (clients, paid service, etc. 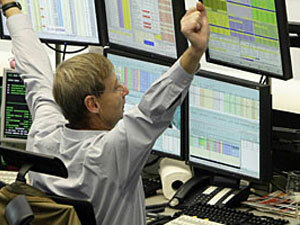 ), since they provide the precise information of what is happening on the market at exactly the same moment. Majority of world web financial portals still offer streaming and not real-time quotes. Google, CNBC and some other associations in NetCoalition worked with the SEC, US stock exchanges and D.C. trade association to find a way to bring stock data to users in a way that benefits users and is practical for all parties. Finally a solution was agreed, offering information providers to buy real-time, last-trade market data and provide it broadly and free of charge to the public, without counting and reporting the users to exchanges or even requiring them to complete any administrative forms or contracts. This was an important step towards helping investors make more informed and timely investment decisions by knowing the latest information from the stock market today. You can check the Google stock disclaimer to get the fresh list of all the stock exchanges Google is covering and the quality of quotes they deliver. Yahoo Finance stayed back in offering real-time stock quotes for free; in the time of writing this article they are still charging $10.95 monthly, but thing will probably change in the future. The same is to expect with other information providers, since competition is coming from different directions. Innovative financial industry and development of new financial instruments are also showing the way of real-time data accessibility. In the last few years many new financial instruments were established over the world, as for example CFD (Contract For Differences) or Spread-Betting. Trading with these instruments is provided by banks and brokerage firms (like for example IG Index, CNC Markets and others), which developed sophisticated IT tools to manage the product itself on one side and to offer an advanced trading platform to investors on the other side. Above mentioned new financial instruments have their own quotes, which are based on the underlying stock exchange quotes. The only difference is, that providers of such data are usually not allowed to use the same names for the instruments us the underlying and in some cases they are also using different quote ratio (1/10 or 1/100); for example, a spread-bet on Dow Jones Industrial Average Index (DJIA) can be called "Wall Street Daily" and the quote can be 1,038 instead of 10,380. Be aware that this data may not mirror exactly the quotes on other original exchanges, but if you are not a professional day trader, this will probably not be an issue for you. Owning instruments and quotes allows brokerage industry to build their own quotes distribution policy. And for now, they offer real-time stock quotes for FREE, just to bring in some more trading volume. I have personally tested many of this platforms (in most cases you can open account for free and use the software without any fees and obligations; will see, how long it will last) and I can tell you, they offer you a lot, even real-time charting and advanced technical indicators. For you, as a trader or investor, this is very good news, since you don't have to pay anything; it's all FREE. Remember, real-time data and knowing what is happening on the stock market today is a must for active day traders, while long-term investors don't really need to know how the quotes are changing every second.